The versatile soprano Christiane Iven was extraordinarily successful as a concert singer and performer of lieder, and no less at home on the operatic stage, where she stood out in particular through her well thought-through and unusual interpretations. Among other things, she was for many years a member of the ensemble of the Stuttgart State Opera. There, and in a number of German and European opera houses, she wowed audiences with roles such as the Feldmarschallin (Rosenkavalier), Agathe (Freischütz), Didon (Les Troyens), Marie (Wozzeck), Kundry (Parsifal), Strauss’s Ariadne (title role), Alice Ford (Falstaff), Elvira (Don Giovanni), Emilia Marty (Die Sache Makropulos), Sieglinde (Walküre) and Isolde (Tristan und Isolde). She appeared in concerts with leading orchestras, including the Academy of St. Martin in the Fields, Concertgebouworkest Amsterdam, the Bamberg Symphony Orchestra, Ensemble Intercontemporaine, NDR Symphony Orchestra, NHK Symphony Orchestra Tokyo, RSO Berlin, Oslo Philharmonic, Orchestre de la Suisse Romande, Orchestra Filarmonica della Scala, Munich Philharmonic and the Czech Philharmonic under the baton of Marc Albrecht, Vladimir Ashkenazy, Riccardo Chailly, Teodor Currentzis, J.E. Gardiner, Michael Gielen, Nikolaus Harnoncourt, Heinz Holliger, Eliahu Inbal, Marco Letonja, Shao-Chia Lü, Sir Neville Marriner, Matthias Pintscher, Helmut Rilling, Michael Schoenwandt, Christian Zacharias and Lothar Zagrosek, to name but a few. Her outstanding repertoire included the Seven Early Songs by Alban Berg, the Wesendonck-Lieder von Richard Wagner, Rückert-Lieder, the Lied von der Erde, Lieder eines fahrenden Gesellen and Lieder aus des Knaben Wunderhorn by Gustav Mahler, the Lyric Symphony by Alexander Zemlinsky, and the Four Last Songs by Richard Strauss. Her lieder recitals with András Schiff, Burkhard Kehring, Wolfram Rieger, Jan Philip Schulze, again to name but a few, were Christiane Iven’s particular passion and at the very heart of her concert activity. She was a guest performer at leading music festivals including the Schleswig-Holstein Music Festival, the Lucerne Festival, the Festspielen Mecklenburg-Vorpommern and the Schwetzinger SWR Festspiele. Christiane Iven was born in Hamburg, studied in her home city under Judith Beckmann, and supplemented her studies in lied interpretation classes with Dietrich Fischer-Dieskau in Berlin. She had scholarships from the Steans Institute of Music at the Ravinia Festival (USA), the Richard-Wagner-Verband and the Studienstiftung des Deutschen Volkes. In 1990 she was a prizewinner at the Deutscher Musikwettbewerb, and in the following years she won prizes at a number of international lied competitions. Christiane Iven began her musical career while still at school. She sang for many years in the choir of the St. Michaeliskirche in Hamburg under Günter Jena. As a student she worked as a long-term understudy at the NDR choir. In particular the music of Johann Sebastian Bach, his Passions and Cantatas, became the focus of her life, and left a profound impression which remains to this day. 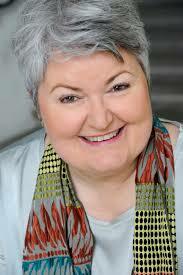 Christiane Iven began her concert and operatic career in 1986 as a mezzo-soprano, changing to soprano in 2001. Her voice, a dark-timbre soprano, was always at home in the intermediate range and would never really settle down. After small parts at first with the Staatsoper Hamburg she became a member of the ensemble of the Theater Bremen in 1992. In 1996 she moved to the Nationaltheater Mannheim, where her many roles included Octavian (Der Rosenkavalier), Composer (Ariadne auf Naxos) and Charlotte (Werther). This was followed in 2001 by an engagement as a permanent member of the ensemble at the Staatsoper Hannover and in 2006 at the Staatsoper Stuttgart. For her outstanding artistic achievements she was awarded the Niedersächsischer Staatspreis (State Prize of Lower Saxony) and honoured with the title of ‘Kämmersängerin’ by the state of Baden Württemberg. A further focus in Christiane Iven’s artistic life is her now successful work as a singing teacher. From 2001–2007 she was Professor at the Hochschule für Musik, Theater und Medien Hannover. Since the winter semester 2013/14 Christiane Iven has held a professorship at the University of Music and Performing Arts Munich. In addition her services are in demand as a jury member at international singing competitions such as the Ernst Haefliger Concours, the Paula-Salomon-Liedwettbewerb Berlin and the 8th European Song Competition DEBUT 2016. Christiane Iven gives numerous master classes, for example at the Internationale Musikakademie für Solisten (IMAS) in Schloss Bückeburg, at Taipeh University, at the Internationale Bachakademie in Stuttgart, the Musikhochschule Luzern and in 2016 at the Summer Academy of the Mozarteum in Salzburg. As an active member of the National Association of German Singing Teachers (Bundesverband Deutscher Gesangspädagogen, BDG) she organizes in-service training events in Munich on everything concerned with the general topic ‘the voice’. In order to broaden and enrich her musical and teaching activities, Christiane Iven has taken an extensive course in Transaction Analysis, and is also active in the field of counselling and supervision for artists, musicians and teachers.